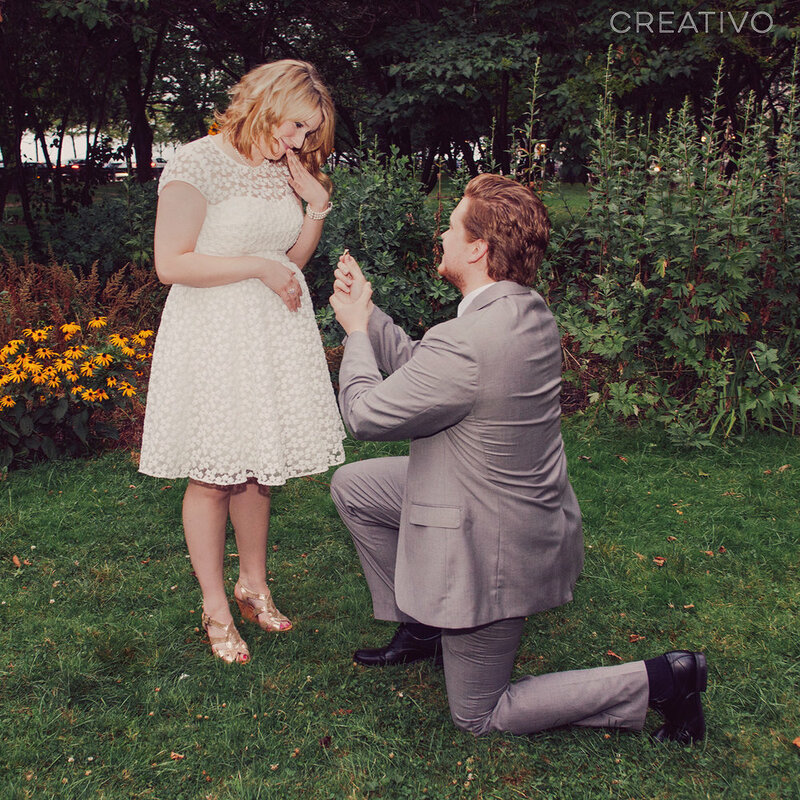 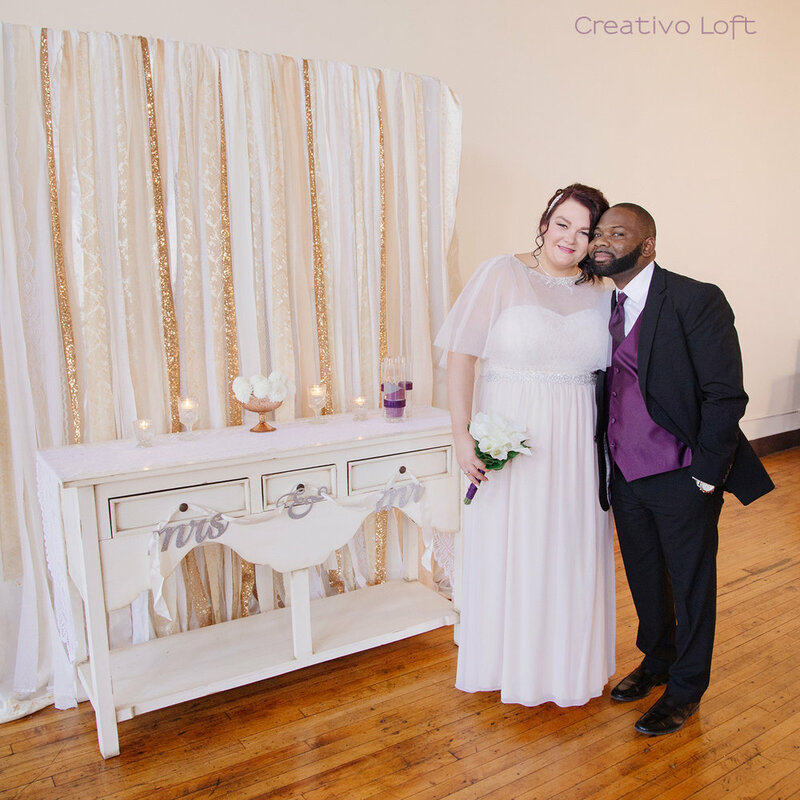 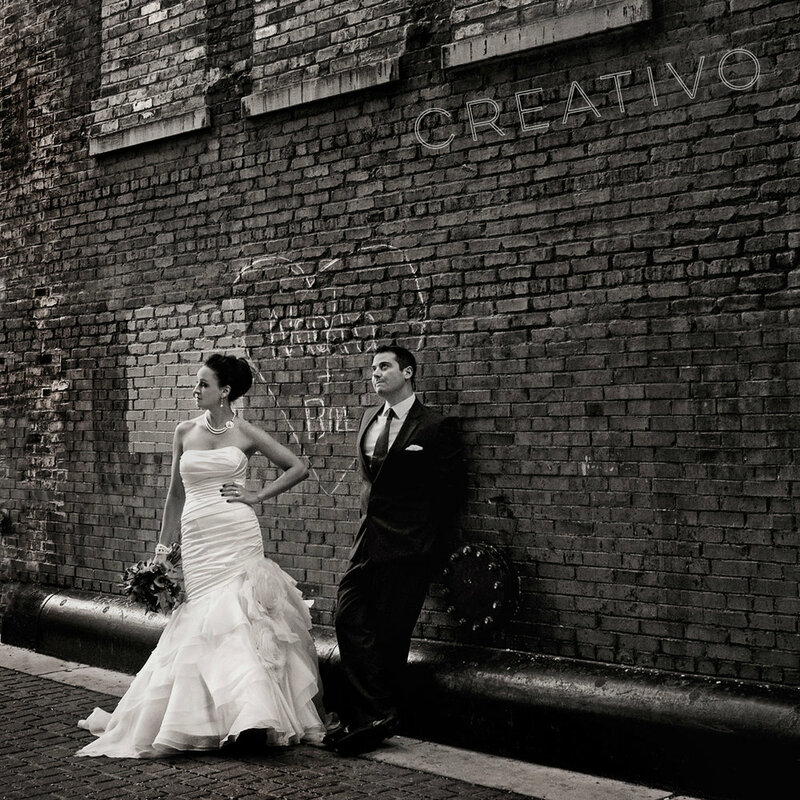 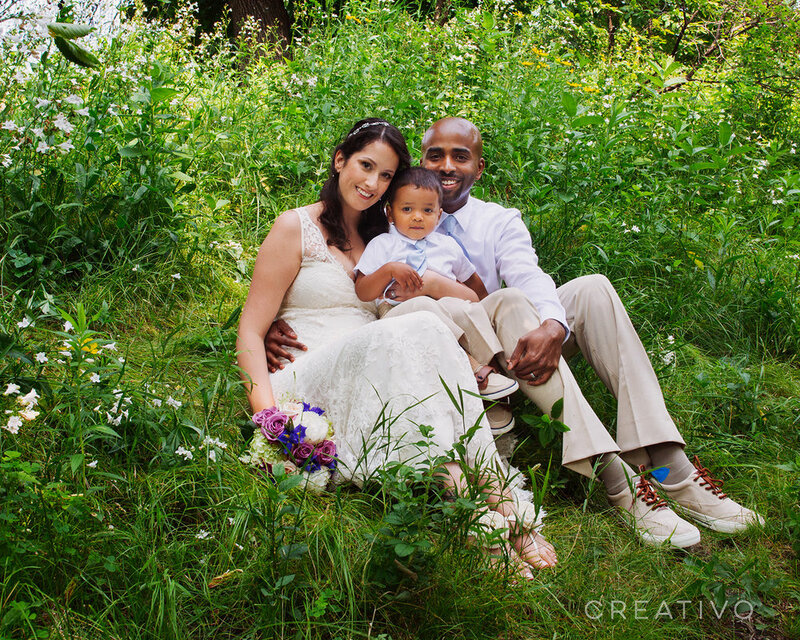 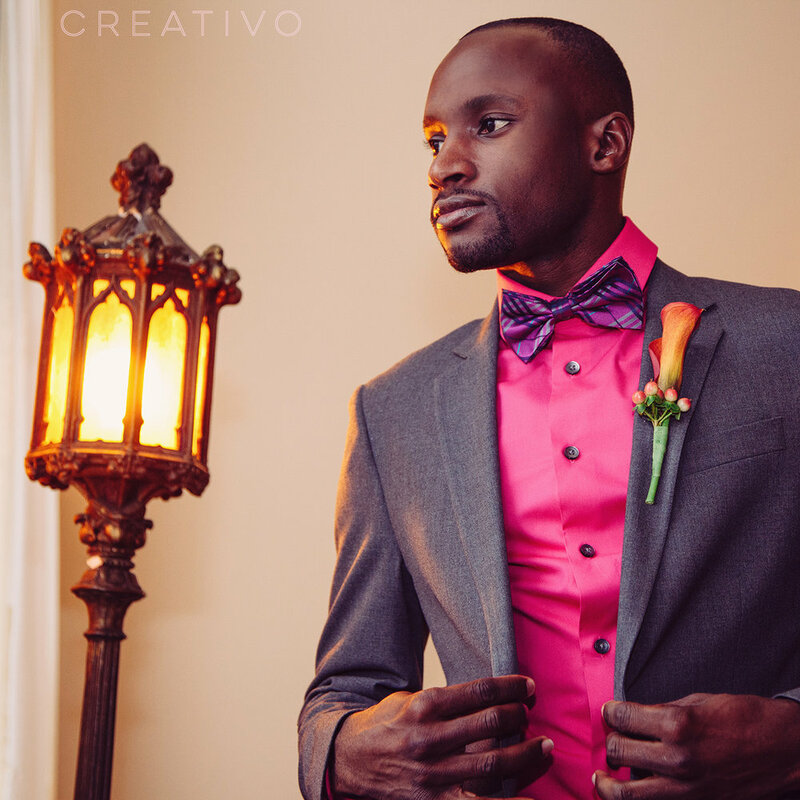 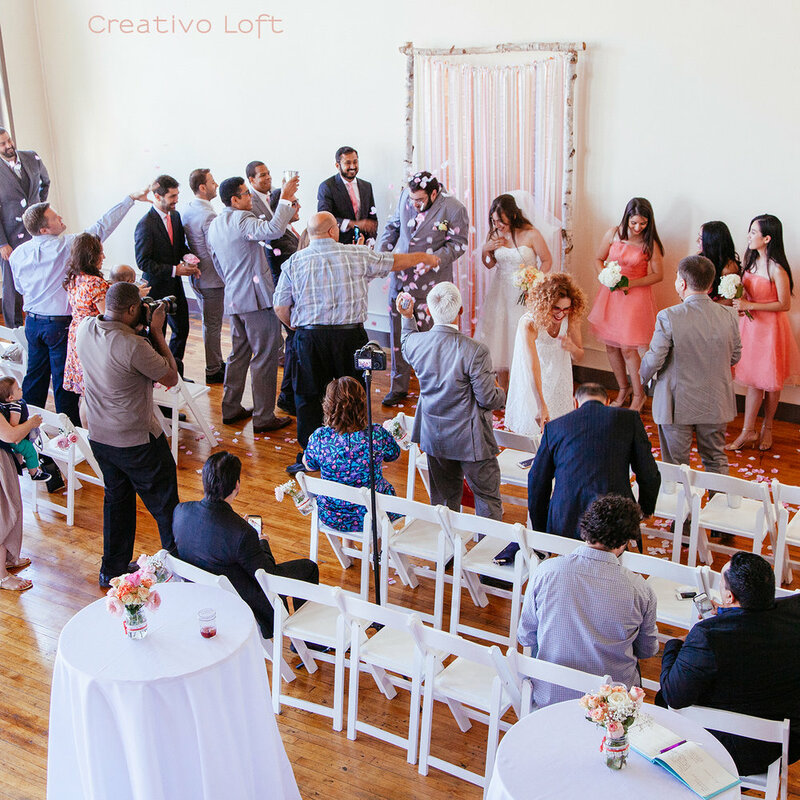 Stephanie and Kenneth eloped as a growing family. 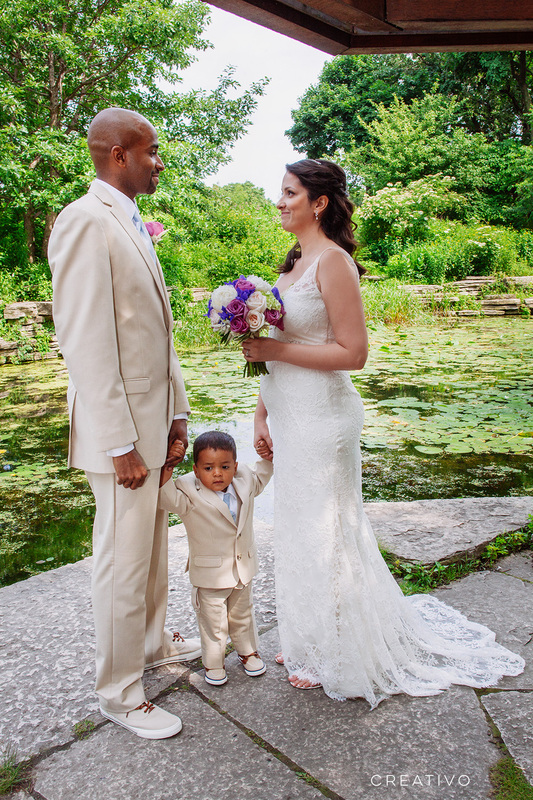 Their young son was dapper in his little beige suit, matching his daddy groom. 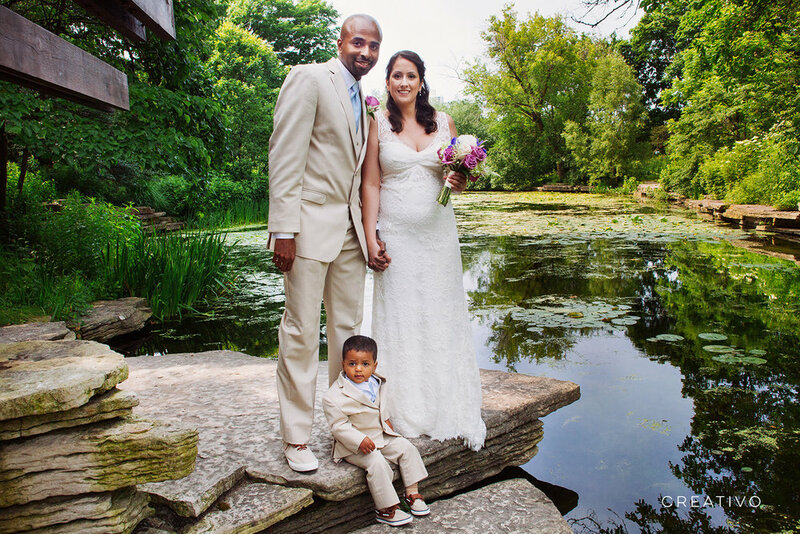 An mommy bride's lace dress beautifully accented the newest family member they were expecting soon. 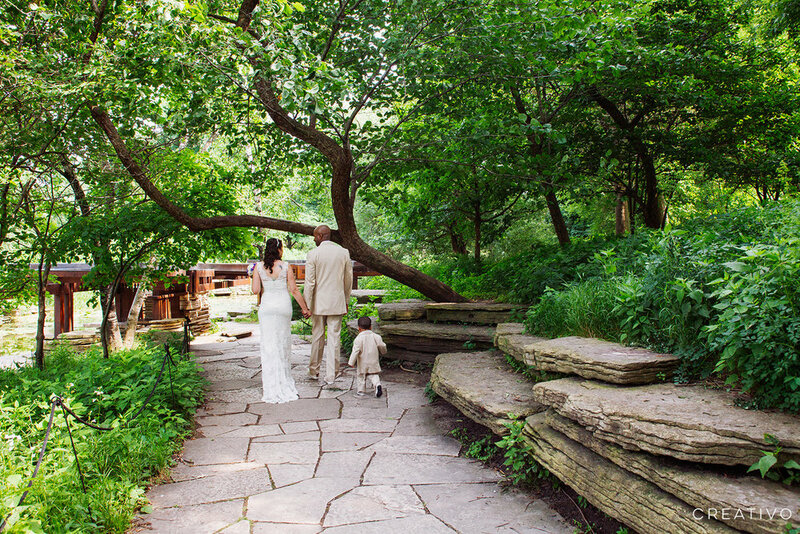 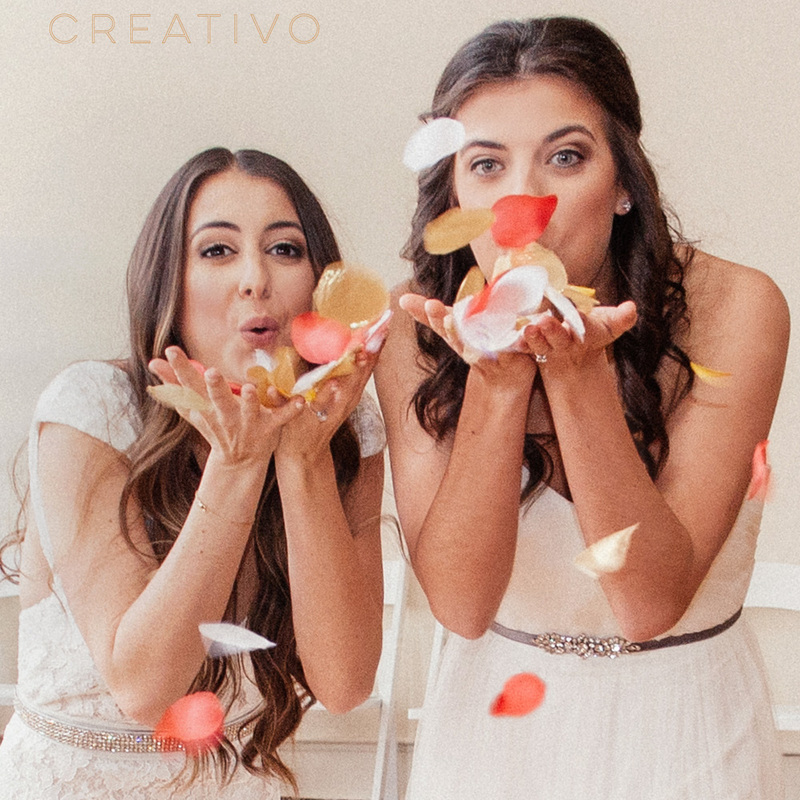 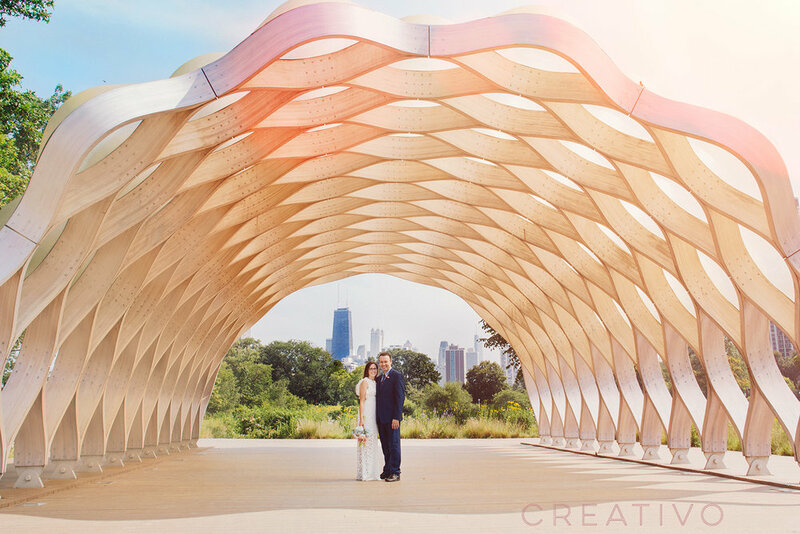 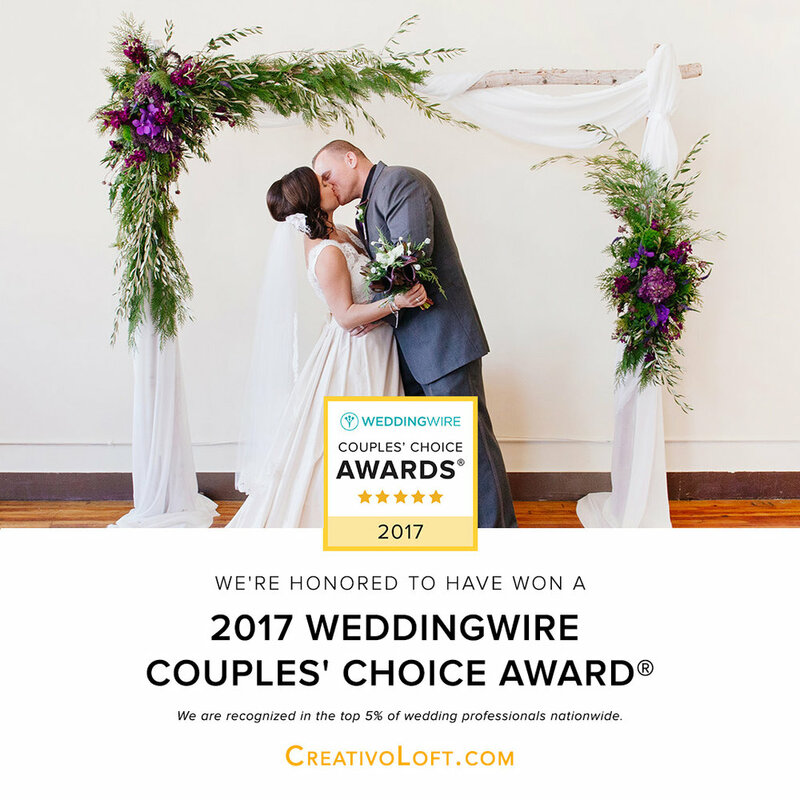 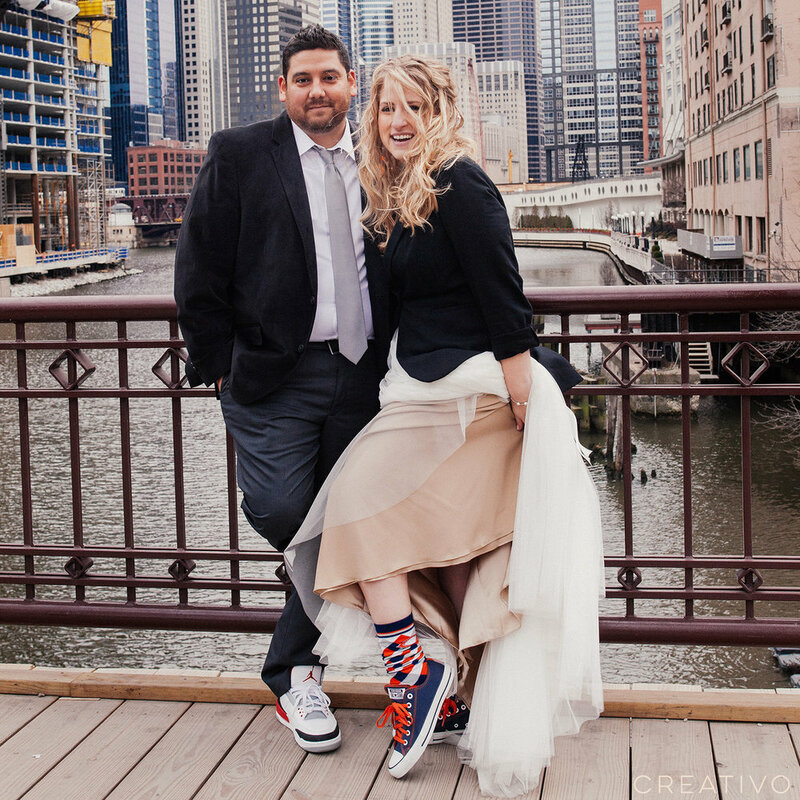 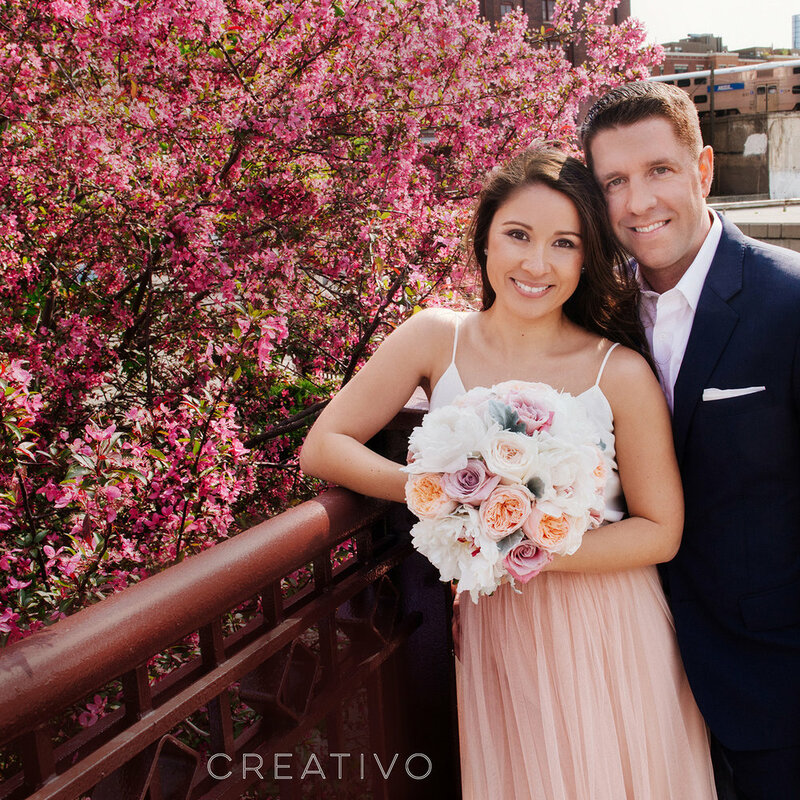 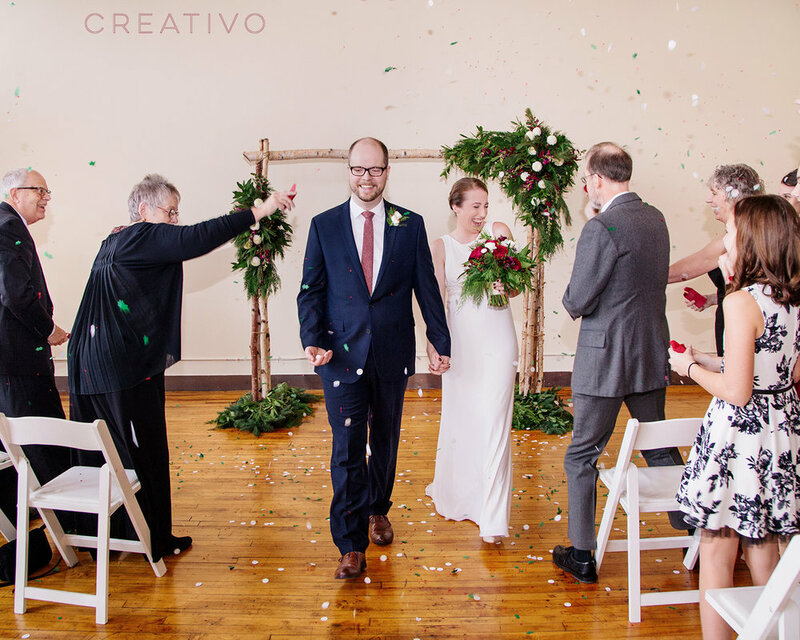 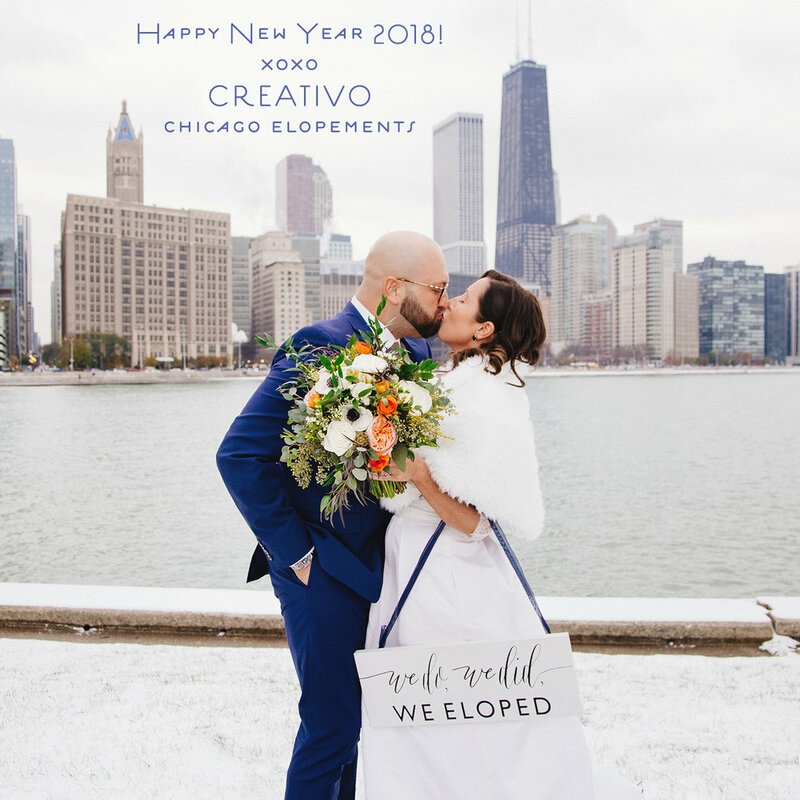 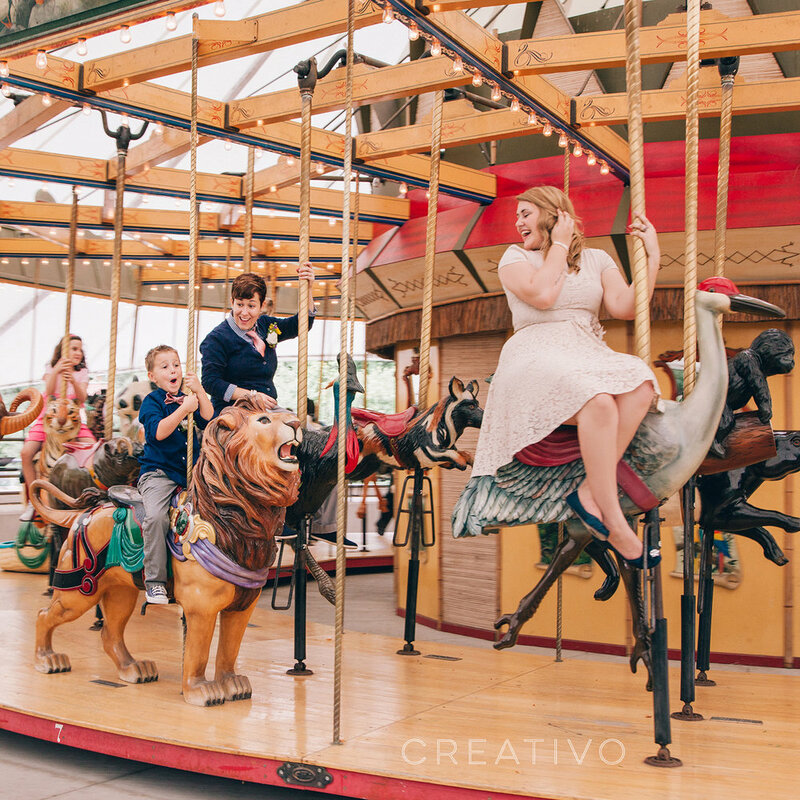 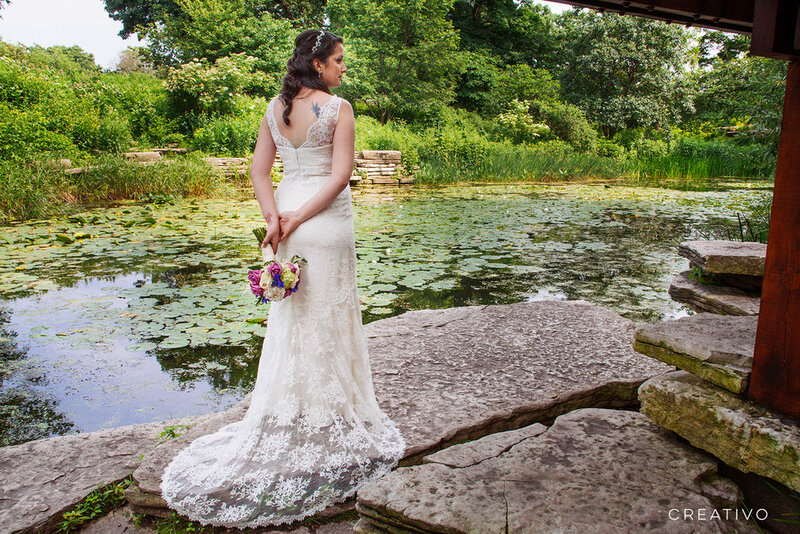 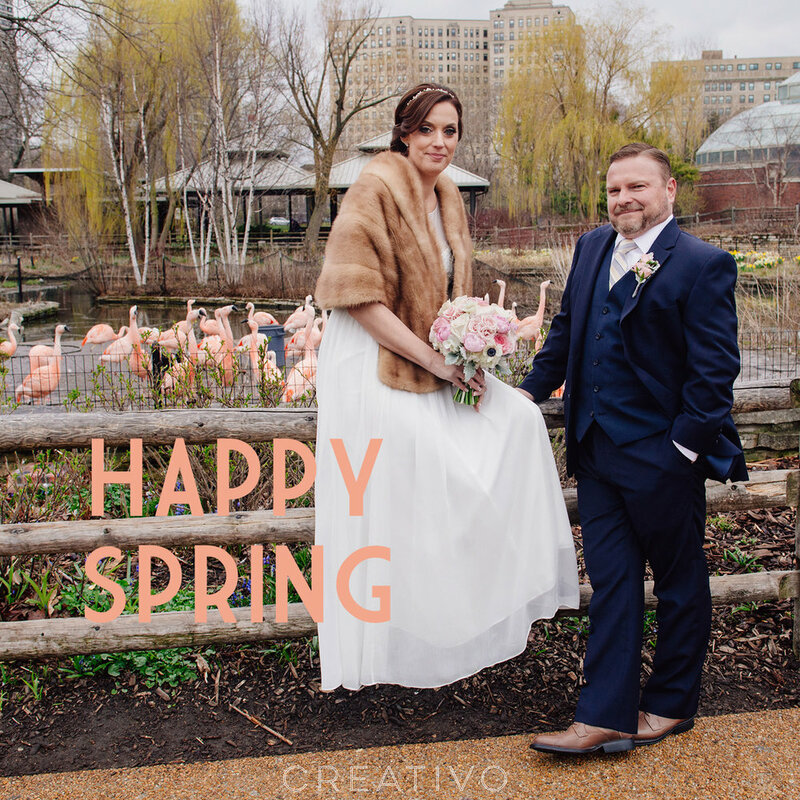 Creativo's officiant and photography team celebrated this family's elopement wedding at the Caldwell Lily Pool in Lincoln Park on a beautiful summer afternoon.